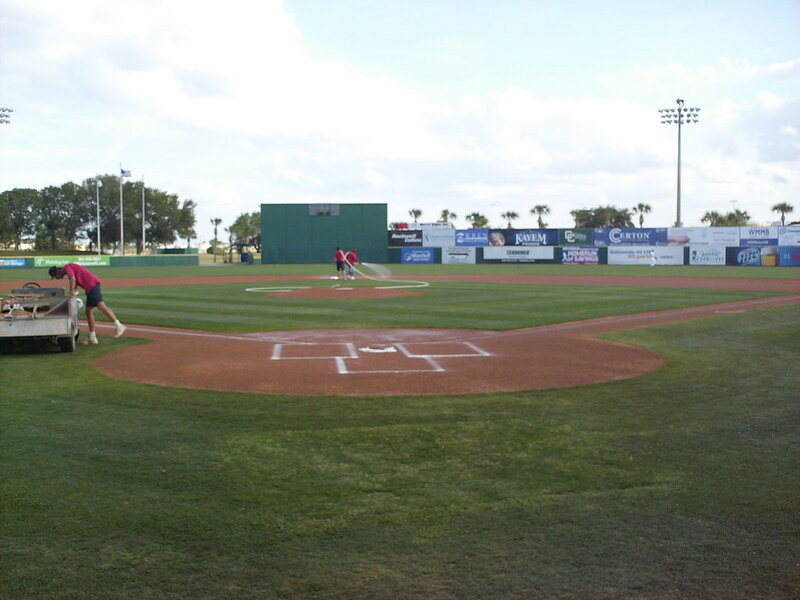 The view from behind home plate at Space Coast Stadium. 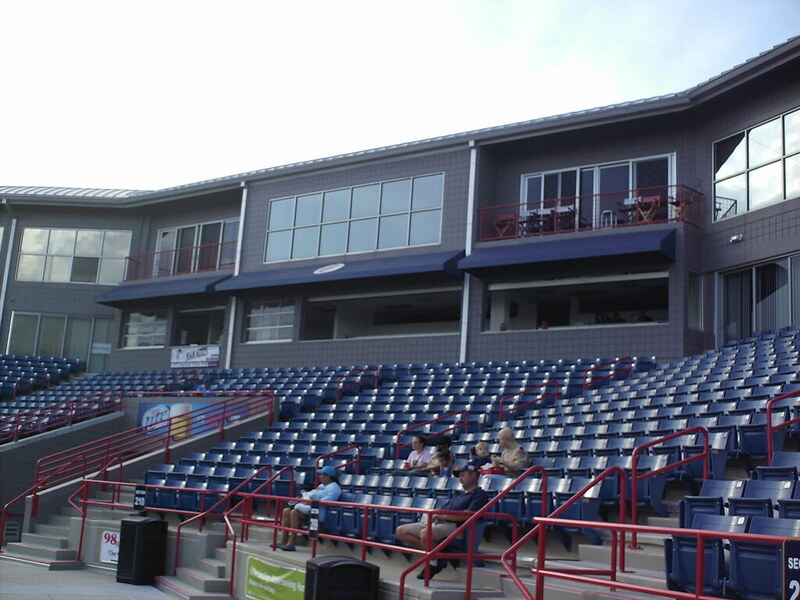 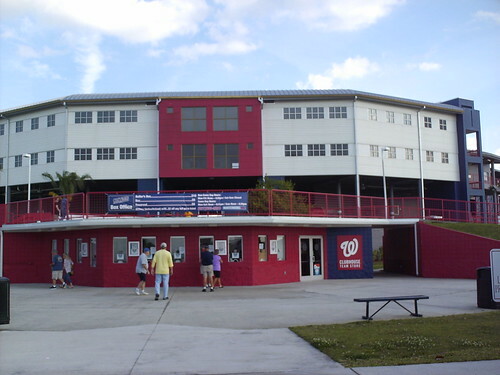 The grandstand at Space Coast Stadium as seen from the left field corner. 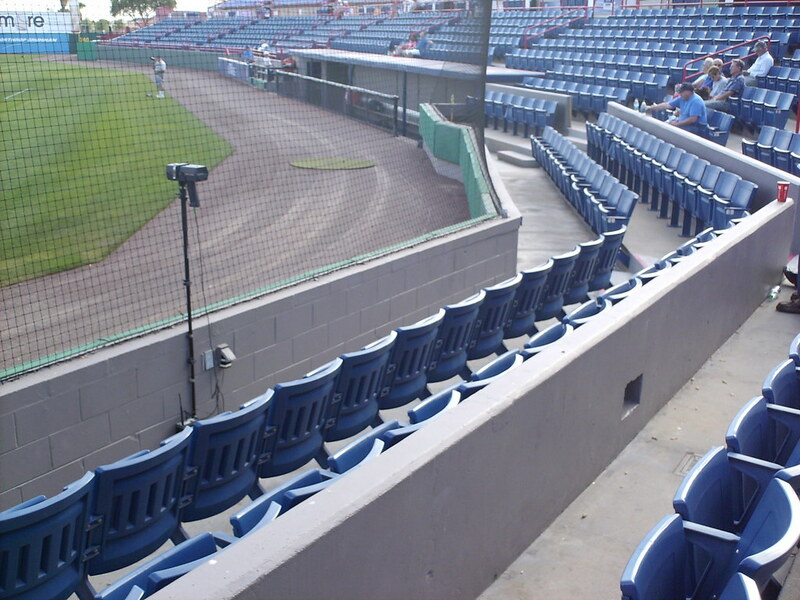 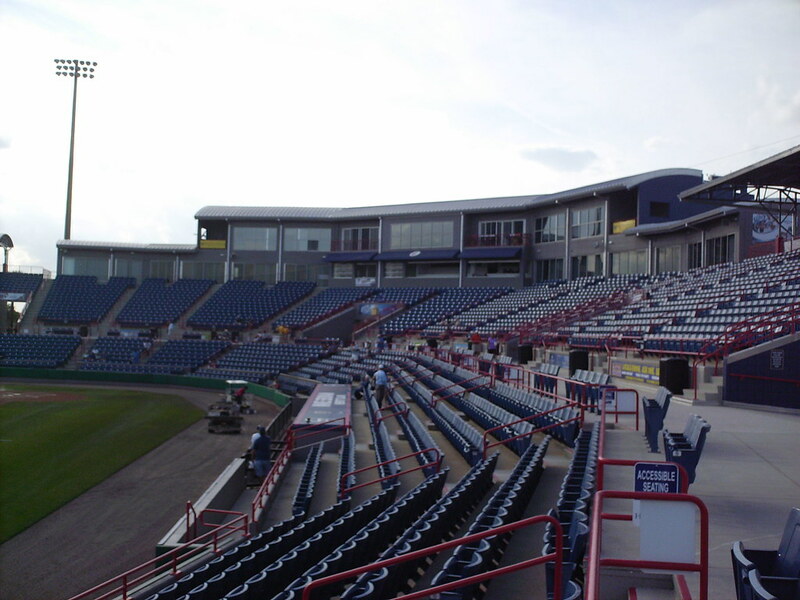 The "batter's box" seats behind home plate, separated from the main seating bowl by a concrete wall. 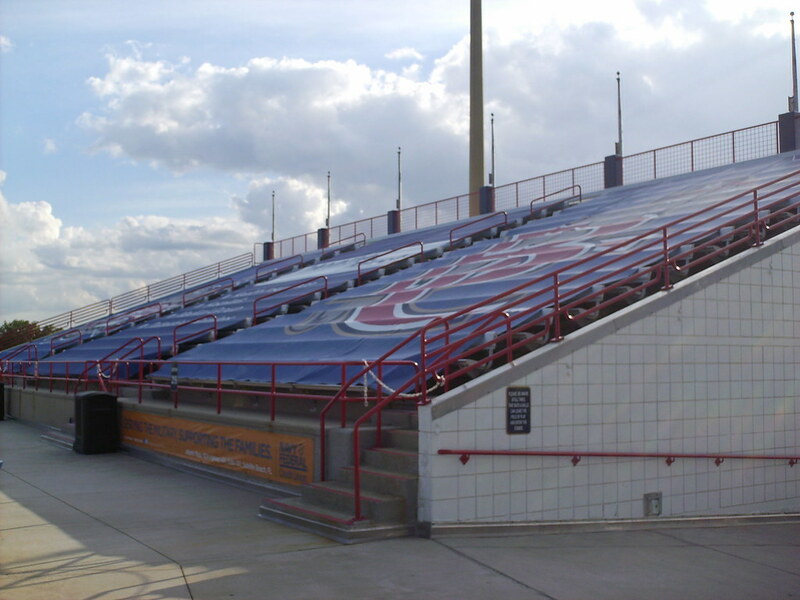 Sunshades at the end of the concourse provide some shade from the Florida sunshine. 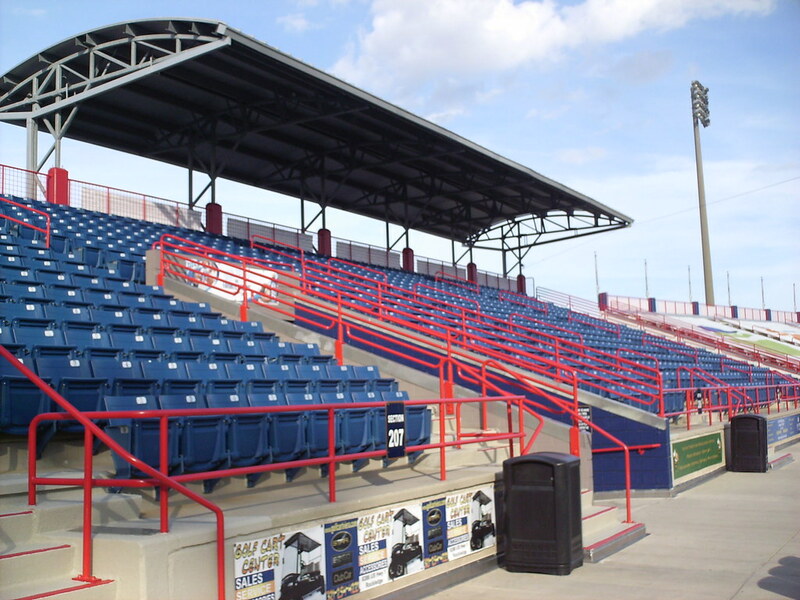 The bleacher sections down each line are tarped over for Florida State League games. 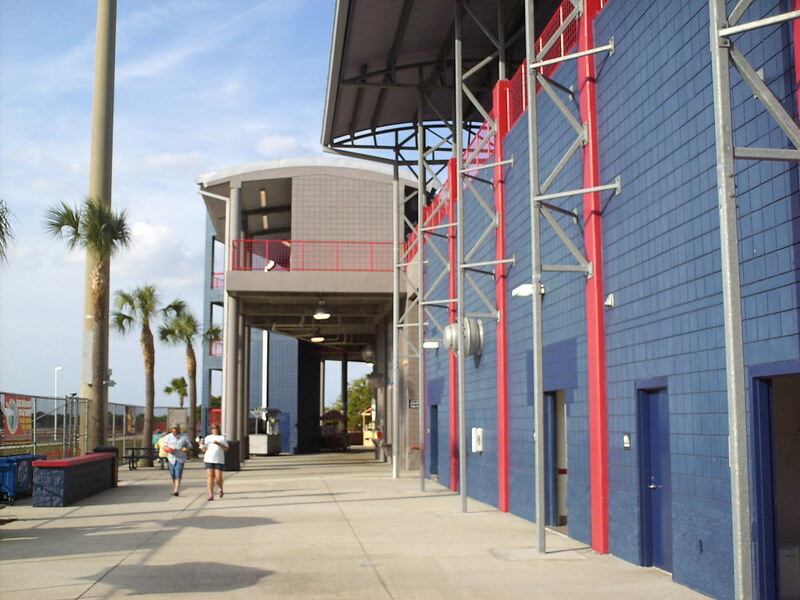 The outer concourse at Space Coast Stadium. 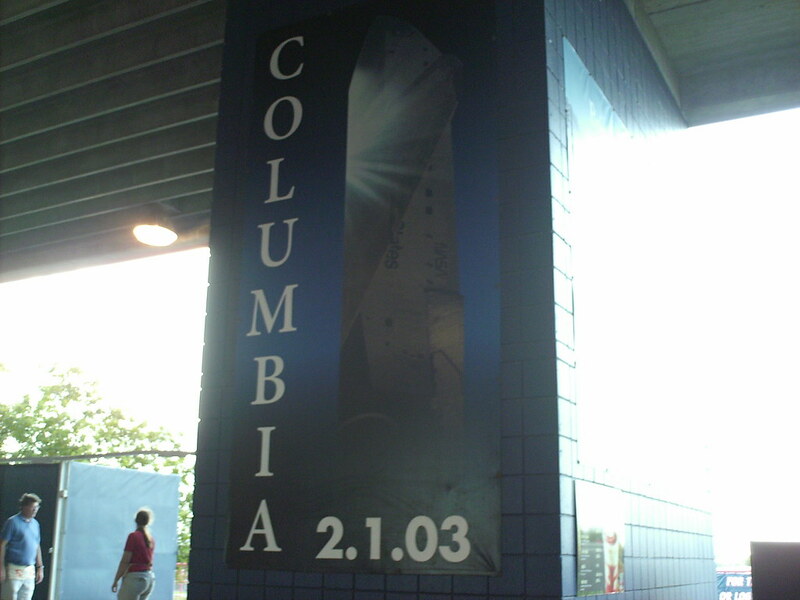 Banners along the concourse memorialize the Challenger and Columbia Space Shuttles. 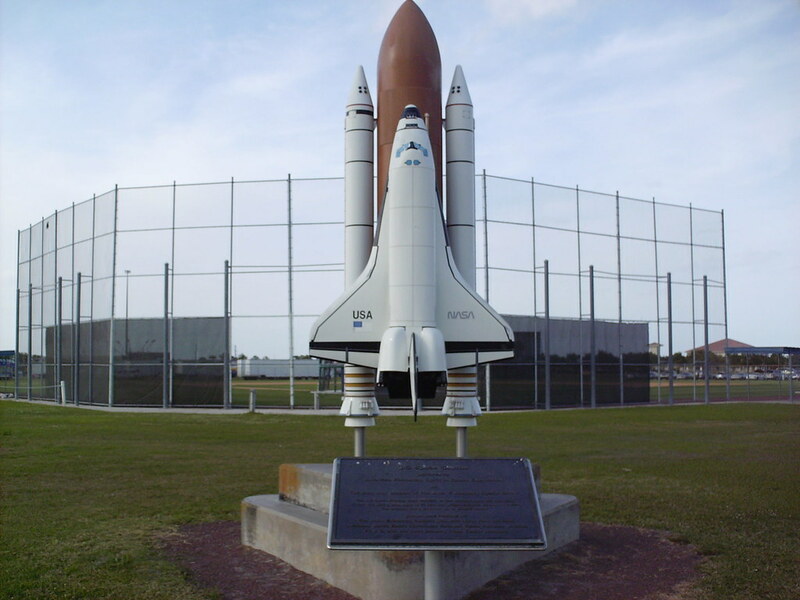 A Space Shuttle statues sits outside one of the practice fields outside the main stadium. 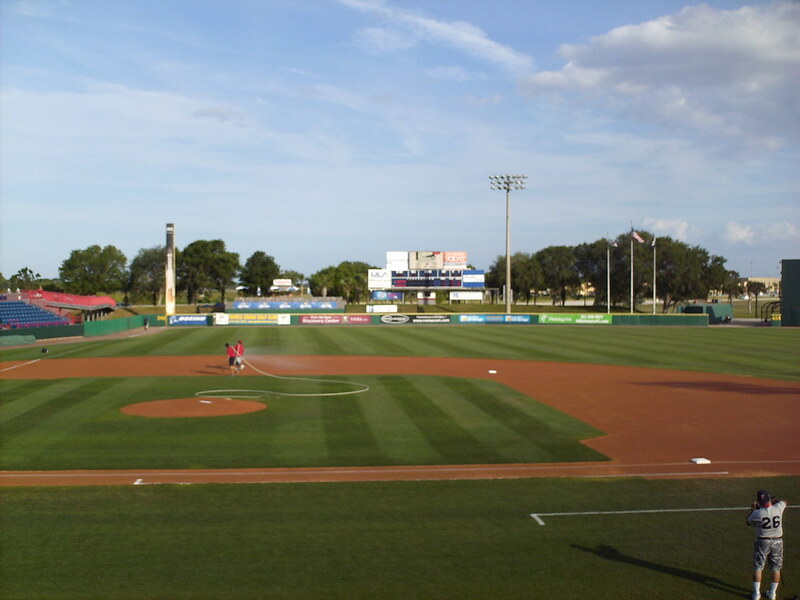 The park is located just outside Cape Canaveral and celebrates the American space program. 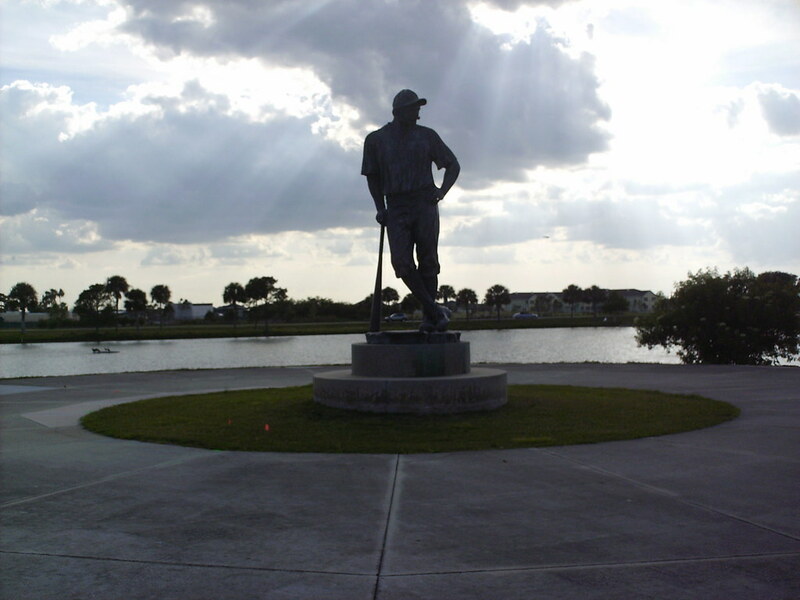 A statue of "Casey At the Bat" sits outside the main gate to the stadium. 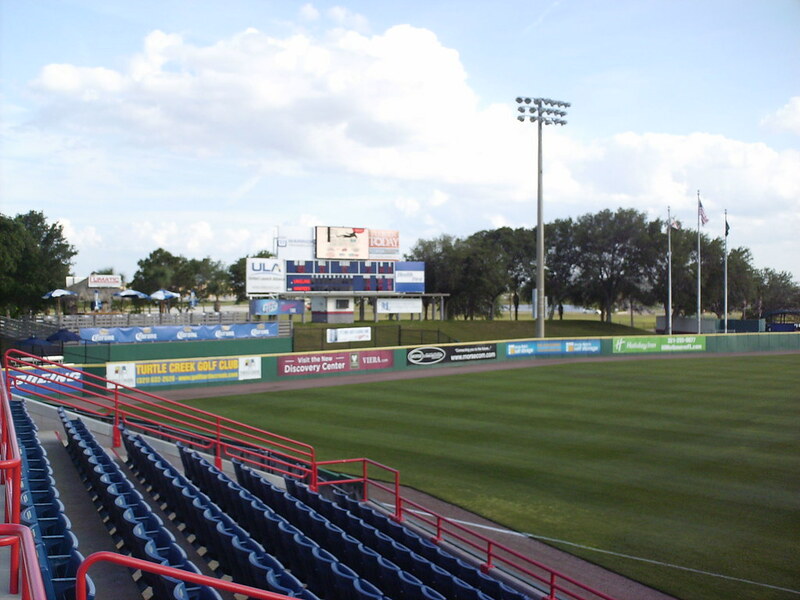 The outfield berm and party deck, with the scoreboard rising up behind it. 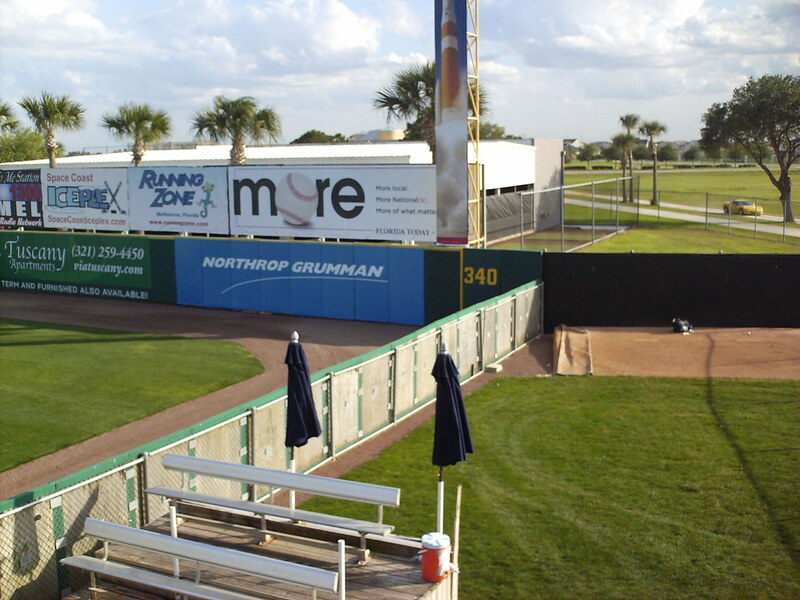 The home bullpen, located in the right field corner and featuring a small section of bleachers for the bullpen pitchers. 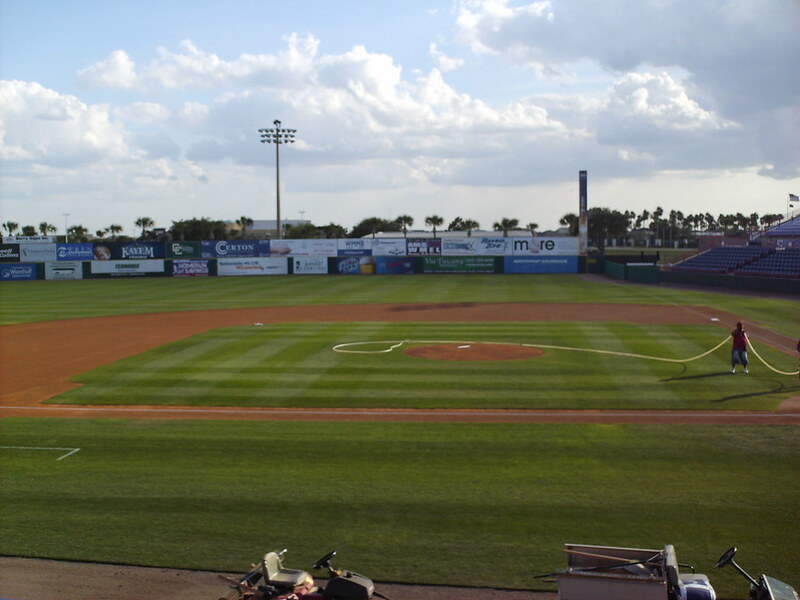 The outfield fence at Space Coast Stadium. 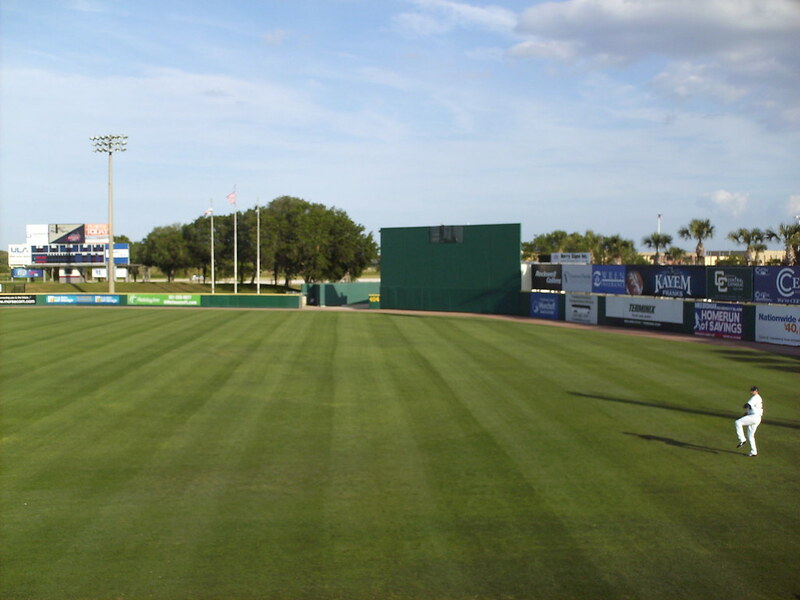 The wall is taller on the right field side of the batter's eye than on the left. 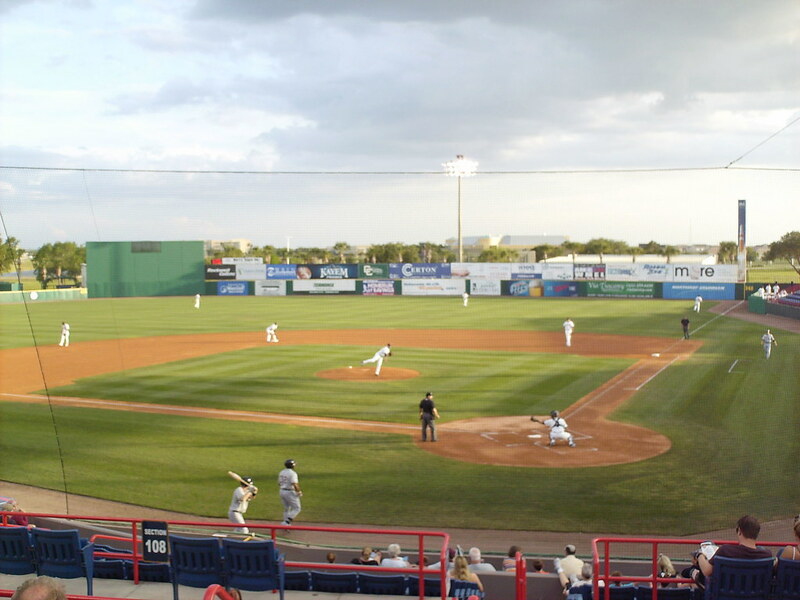 The Brevard County Manatees on the field during a game at Space Coast Stadium.